The BC 12.12 is a modern wireless bike computer with 12 functions, and ideal for commuters as every mile ridden is converted into fuel saved. Designed with simplicity, functionality and the end user in mind, the new Topline computers are at home on any handlebar. 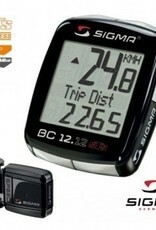 The large display ensures optimum legibility while riding. It is clear and well structured, showing up to two functions at a glance. Every model in the Topline range can be connected to a PC or MAC using the optionally available docking station. 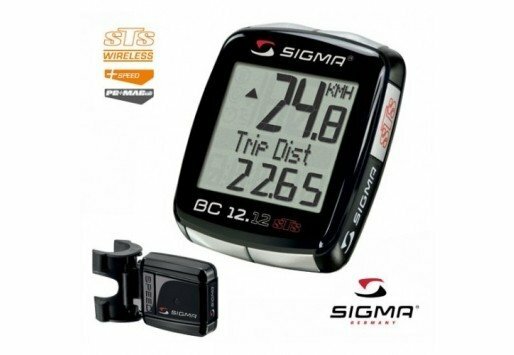 The SIGMA DATA CENTER evaluation software can be used to program the bike computer on your home computer and evaluate ride and training data. The software can also be used without the docking station. The data from the last ride can be manually entered and then evaluated in detail.